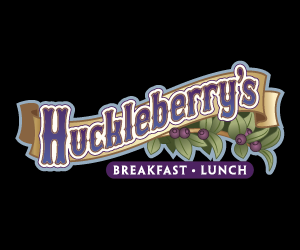 It’s been said that Huckleberry’s serves the best Breakfast and Lunch this side of the ol’ Mississippi so why not come see for yourself? Right away you’ll know you’ve found a place to escape from the everyday….the weeping willow tree sparkling with fireflies, the faint din of crickets chirping and the unmistakable rhythmic sound of Southern music in the background. It seems as if you’ve been carried away to the Bayou in just a few steps. All of the folks you meet are friendly, charming and real. And the food….so many choices! Breakfast features Mardi Gras Beignets, Chicken & Waffles, Skillet Hotties and Signature Omelets. For lunch, where else can you get Fried Green Tomatoes, Creole Style Louisiana Catfish, N’awlins Sandwiches and scratch-made soups? Try ‘em all! You’ll soon discover, like so many others, that this is the place you’ll want to come again and again. Who’s Your Huckleberry? We are! You’re gonna luv dis place. 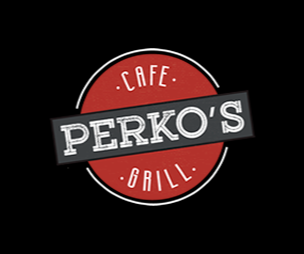 "Perko’s Cafe Grill is American Family Comfort. A gathering place for all ages where friends and family can relax and reconnect. A friendly place where you are greeted warmly and made to feel like family in an atmosphere reminiscent of a classic American Diner. Whether it’s a homecooked dinner like mom used to make, a signature burger for lunch, our well-known scratch made breakfasts or simply a slice of pie or a milkshake at the counter, Perko’s is, and always has been, the place for you." Welcome to ”The Coolest Joint in Town”. 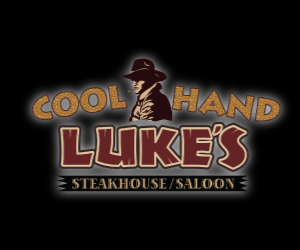 We can’t wait to show you all the great things Cool Hand Luke’s has to offer. Relax and escape into an atmosphere reminiscent of a first-rate establishment in the rustic West. Once you’re settled in, share an appetizer of Sizzling Steak Bites or a hand-battered Onion Blossom followed by a signature fire-grilled ribeye, North Atlantic “Jim Beam” Salmon or a tender rack of slow-roasted “Raspberry Chipotle” Ribs. Finish your culinary extravaganza with our Iron Skillet Bread Pudding topped with vanilla bean ice cream and served sizzling tableside with our Brandy Butter sauce. If you’re not hungry by now, you need to check your taste buds! Our goal is to treat you as a friend on your very first visit and our promise is to provide you with a one-of-a-kind dining experience that’s a great value. So head on over to Luke’s and enjoy a “Taste of the West”…you’ll be glad you did.